Tye Dillinger is set to return to action for the first time since October. Dillinger tweeted this morning: "Hey hey!! Yes I still wrestle! I actually start back tonight.... Thrilled." Tonight's SmackDown-brand house show is taking place at the NIU Convocation Center in DeKalb, Illinois. 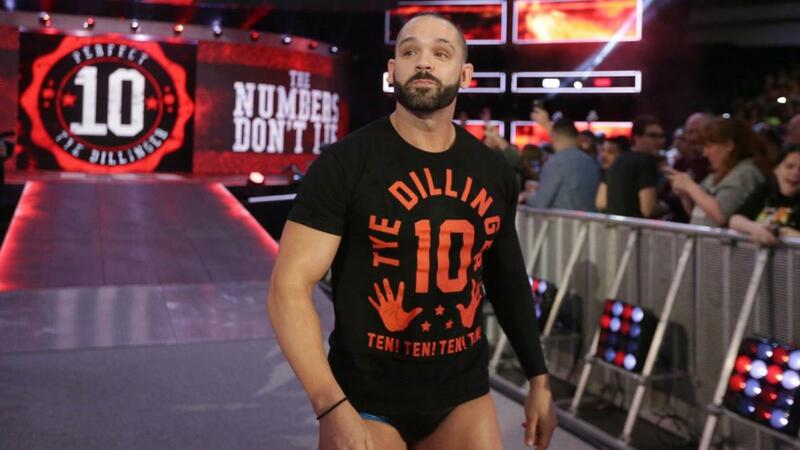 WWE announced on October 30, 2018 that Dillinger had suffered a hand injury at a house show and would need to undergo surgery. Dillinger was supposed to challenge then-champion Shinsuke Nakamura for the United States title on SmackDown that night, but the match was pulled and Nakamura defeated current US Champion R-Truth in a non-title match instead. Dillinger was involved in a brief feud with Randy Orton before being forced out of action due to the injury. Dillinger was back in training last month ahead of making his return. Also on Twitter today, Dillinger wrote "Tried" in response to a fan who asked him if he would go back to NXT if it were possible.